On May 30, 2018, four of our graduate students, along with their advisors and key administrators, participated in North Carolina's Graduate Education Day. At this event, students met with legislators in Raleigh, NC to discuss their research and demonstrate the importance of graduate education for the state of North Carolina. 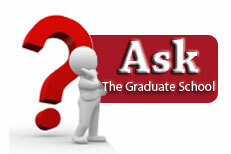 Graduate Education Day is an annual event coordinated by the North Carolina Council of Graduate Schools (NCCGS). Over twenty NC A&T graduate students were honored at the inaugural Graduate Scholars Recognition Luncheon in April. Honored students included nominees for the Outstanding Thesis and Dissertation Awards, the Outstanding Graduate Research Assistant Awards, and the Outstanding Graduate Teaching Assistant Awards, as well as the finalists from the Spring 2018 Three Minute Thesis (3MT) competition. Learn about the research of our recent Ph.D. graduates. View the Spring 2018 Doctoral Scholars E-Showcase. New fellowships and scholarships announced for graduate students at North Carolina A&T State University. The Final Round of our Three Minute Thesis (3MT) Competition took place on Friday, March 16. Details here (including videos of the finalists' presentations). Sarah Hamrick, graduate student in the Joint Master of Social Work program at N.C. A&T State University and the University of North Carolina at Greensboro, has been named the 2018 NASW-NC Presidents’ Award recipient for Master of Social Work graduate student for the 2017-2018 academic year by The National Association of Social Workers North Carolina Chapter (NASW-NC). Congratulations Sarah! Jaime Green, doctoral student in the Energy and Environment Systems program, won the American Geophysical Union's (AGU) Outstanding Student Paper award at its fall 2017 meeting. AGU's fall meetings are attended by over 24,000 scientists from all over the world. Drs. Solomon Bililign, Marc Fiddler and Steve Brown (NOAA) serve as Jaime's advisors. Congratulations Jaime! The PhD in Applied Science and Technology program is planning to launch six new concentrations in fall 2018: (i) Atmospheric, Environmental and Energy Science, (ii) Applied Physics, (iii) Bioscience, (iv) Applied Chemistry, (v) Data Science and Analytics, and (vi) Information Technology and Technology Management. Opportunity for STEM students to enhance communication skills at the 6th Annual ComSciCon National Workshop, June 14th-16th, 2018 in Boston, MA. Attendance is free; travel and lodging will be provided by the organizers to accepted applicants. North Carolina Agricultural and Technical State University is a public, land-grant, doctoral research institution located in Greensboro, NC. The university is a member of the University of North Carolina system. The Graduate College coordinates and administers advanced programs and course offerings leading to 9 doctoral, 29 master's and 9 certificate programs in collaboration with the College of Agriculture and Environmental Sciences; College of Arts Humanities and Social Sciences; College of Business and Economics; College of Education; College of Health and Human Sciences; College of Science and Technology; College of Engineering; and the Joint School of Nanoscience and Nanoengineering. Degrees offered include PhD, MA, MAEd, MAT, MBA, MS, MSA, and MSW. The Graduate Catalog provides detailed information about our programs, some of which are available online. NCA&T also offers a variety of financial assistance options for graduate study. NSF NRT Training in Computational Data Science and Food Security: Application deadline is Nov 3, 2017. Apply now! Fall Open House is on Nov 11, 2017 in the Alumni Event Center. Register now! 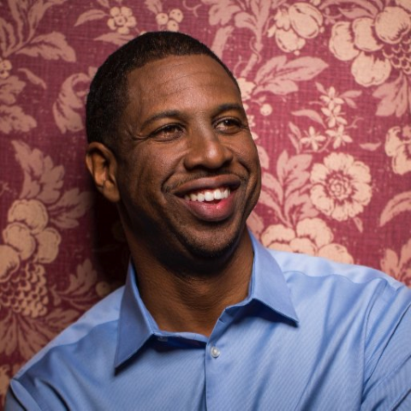 Public Address --"Unlimited Horizons: Reflections on an Unimagined Journey from 'Gangsta Nerd' to Astrophysicist" by Dr. Hakeem M. Oluseyi, Distinguished Research Professor in Physics & Space Sciences at the Florida Institute of Technology (FIT); Co-host on the Science Channel and Discovery International.